If you’re wondering how bail works, then you may have a loved one who has recently been arrested and has asked you to contact a bail bondsman in the Upper Marlboro area. Or, you may have been arrested yourself and your attorney has informed you that he or she will try to argue in favor of your release on bail bonds . It’s important for defendants to realize that being released from jail pending a trial is a privilege. 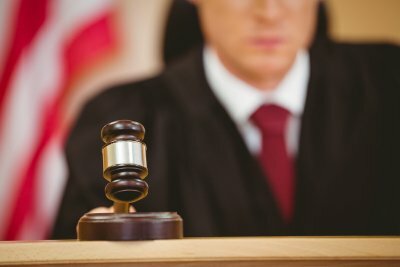 As with most privileges, bail bonds may be revoked and the defendant may be sent back to jail if he or she violates any of the conditions of bail. Every defendant who is released from jail on bail is required to return to court on all scheduled dates for hearings and other legal proceedings. It is absolutely imperative that defendants make their court appearances a priority over other obligations. 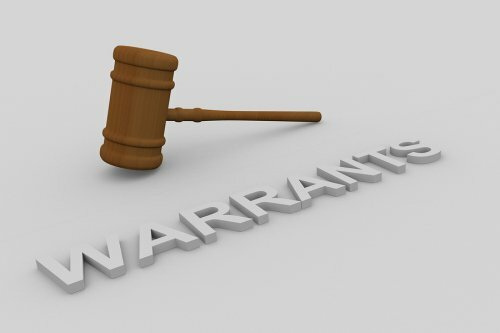 Failure to appear in court is a common reason why bail is revoked and arrest warrants are issued. To ensure that you or your loved one is punctual for court, it’s best to leave for the courthouse well ahead of time in case of traffic or other issues. If it appears that you will be late, you should contact the defense attorney immediately. In some cases, the judge may decide to set other conditions of bail. Some defendants may be required to maintain their employment status. If a defendant is unemployed, he or she may be instructed to actively seek work. Some defendants may be required to maintain their formal education programs or to begin one. Other common conditions of bail involve lifestyle issues such as the use of alcohol; defendants may be barred from consuming it. Defendants might be required to avoid the use of illicit drugs. It is expected that defendants released on bail will not suddenly decide to take a vacation. They may be required to surrender their passports or have an electronic monitoring device placed. A curfew may be imposed. It should be a given that defendants who have been released on bail should avoid committing any crimes. Other common conditions of bail include checking in regularly with the police department and avoiding all contact, direct and indirect, with the alleged victim and witnesses. After the arrest of a loved one, your only thought may be to get him or her out of jail as quickly as possible. Making a bail bond payment will accomplish this and individuals in the Upper Marlboro area have several bail bond options. However, before you sign the paperwork and make a bail bond payment, it’s important that you know exactly what you’re getting involved with. After agreeing to a surety bond , you take on certain responsibilities. As soon as you sign the bail bond contract, you will become the indemnitor. This is non-revocable; you cannot later change your mind and try to nullify the contract. 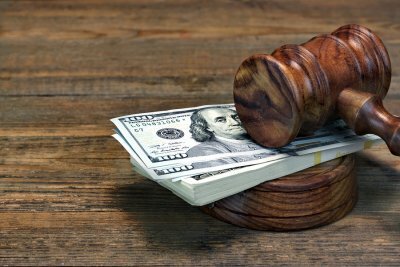 The payment you make to the bail bondsman is non-refundable, even if your loved one’s case is dismissed, the criminal charges are dropped, or the individual is found not guilty. As the indemnitor, you are responsible for ensuring that the defendant gets to all of his or her court appearances. This is another non-negotiable aspect of bail. If the defendant fails to show up in court when required to do so, then he or she is assumed to have absconded from justice and violated the conditions of bail. Before you sign the bail bond contract, think carefully about the extent to which you trust that the defendant will appear at every court date. Consider whether you’re willing to put in the effort to transport the defendant to court if necessary. There may be a possibility that the defendant will not show up for a scheduled court appearance. If this happens, you should know that it’s your responsibility to pay any additional fees that result. When defendants skip out on court, the bail bondsman must hire a fugitive recovery agent to find them and bring them in. As the indemnitor, it’s your responsibility to pay the agent’s fees. If the defendant is never found, then you will face additional consequences. You will be responsible for paying the entire bail amount. If you put up collateral to obtain the bail bond, such as a real estate deed or vehicle title, then you will lose the property. After posting bail in Upper Marlboro or the surrounding areas, you will be required to abide by the conditions of your bail bond. If you miss a court date or violate another condition of your bail bond, then your bail can be revoked and the judge may issue a warrant for your arrest. If this happens, it’s important to take immediate action to prevent the situation from getting worse. Instead of waiting for the bail bond agent or for police officers to detain you, you should contact a criminal defense attorney right away. Your defense attorney can discuss the matter with the local law enforcement agency and/or with your bail agent. In some cases, you may be able to avoid repercussions. For example, you might have missed a court date because you were knocked unconscious during a car accident and woke up in the hospital. In other cases, your attorney may arrange for you to turn yourself in. You may be wondering how to bail someone out of jail in Upper Marlboro if that individual has just been arrested by the FBI. An encounter with the FBI can be a very intimidating experience, but it’s important to remember that you or your loved one does have legal rights. An individual charged with federal crimes may still have bail bond options, including a cash bond or property bond. When you watch this video, you’ll learn some of the steps that are necessary to take after an arrest by the FBI. Individuals who are arrested should be very careful not to discuss the case or to answer any questions other than requests for their full name and similar “pedigree” information. It’s also important to stay calm and be cooperative to avoid being charged with any other crimes.